Successfully collaborate with OMRF, OUHSC and external investigators to define temporal human immune responses after vaccination and to generate human monoclonal antibodies to supplement their research. Develop novel methods to produce human monoclonal antibodies after acute infection and other immune events. Investigate new technologies for the characterization of human monoclonal antibodies produced by the core. The Human Antibody Core Facility is one of the few laboratories in the world that produces fully-human, full-length, antigen-specific antibodies for use in studying human immune responses. The Core has achieved breakthroughs in antibody technology and has produced hundreds of high affinity protective antibodies to influenza, anthrax lethal toxin, and various S. pneumonia polysaccharides. 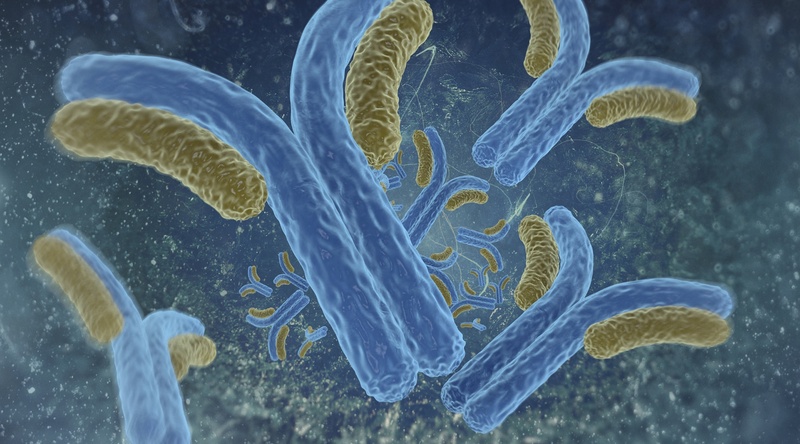 The Core aims to support investigators by helping quantify the antibody secreting cell responses after vaccination and by generating human monoclonal antibodies to be characterized. Pathogen-specific human monoclonal antibodies are also available for licensing agreements and other forms of commercial development. The Core is expanding these services to aid additional clinical and basic science investigators inside and outside Oklahoma. Core Director: Kenneth Smith, Ph.D. Faculty Supervisor: Judith A. James, Ph.D.
Senior Faculty Consultant: Linda Thompson, Ph.D. Process Developed by: Patrick C. Wilson, Ph.D.